Kalaeloa is literally translated as, “the distant point or the long cape.” It is situated on the ʻEwa Plain in the ahupuaʻa of Honouliuli. A nearby heiau on Puʻu o Kapolei (hill of beloved Kapo (sister of Pele)) marked the movements of the sun and served as an astronomical marker to designate the seasons. In 1839, Missionary EO Hall described the area between Pearl Harbor and Kalaeloa as follows: “Passing all the villages (after leaving the Pearl River) at one or two of which we stopped, we crossed the barren desolate plain”. (Robicheaux) In the 1880s, these lands were being turned over to cattle grazing and continued through the early-1900s. However, the cape was shortly thereafter given a new name, as a result of an unfortunate grounding of the ‘Arthur’ at that point on October 31, 1796; the ship was captained by Henry Barber. On a voyage to China, Barber called at Honolulu for supplies. He left Honolulu, heading for Kauaʻi to get a supply of yams, at about 6 pm, October 31. At 8:10 pm Barber’s ship struck a coral shoal. After scraping bottom, Barber and his crew of twenty-two, manned the life-boats and reached shore through the pounding surf (six drowned in the process.) The Arthur was driven on the reef and broke up. Barber was a successful and influential trader across the Pacific. “If America was the main supplier of the Australian market in the years immediately succeeding the settlement of Port Jackson (Sydney), India was a close contender. Captain Henry Barber, Master of the 85-ton snow Arthur, operated from both centres …” (Journal of the Polynesian Society) He included China in his trade loop. “(T)here were but 500 otter skins on board when she was cast away, which he carried with him to Canton, 500 otter skins in those days were worth some $20 to $40,000” (Polynesian, February 8, 1851) The greater part of the skins and ships stores were saved. Several years later, on his way to China, Barber passed through Hawaiʻi again (December 17, 1802.) 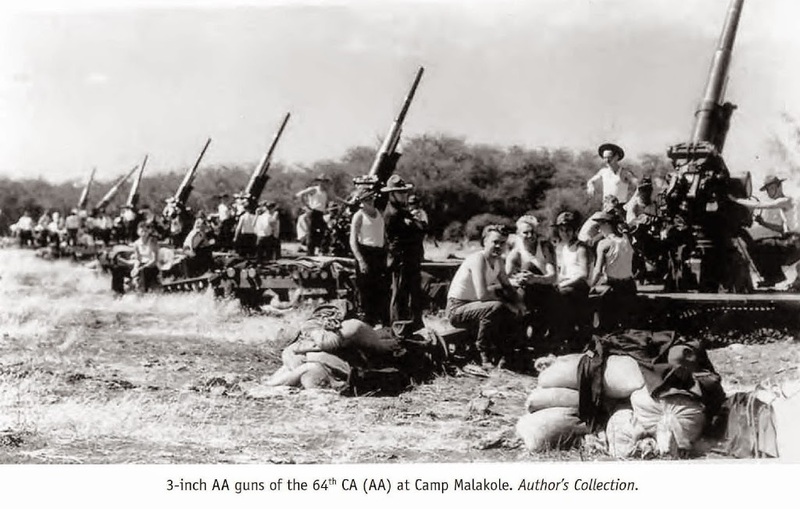 He learned that King Kamehameha had retrieved ten guns off the wreck of the Arthur and installed them for the defense of a newly built fort in Lāhainā, Maui. Barber claimed the guns were his, but Kamehameha refused, claiming possession was nine-tenths of the law. To top it off, since Barber was in Hawaiʻi to reprovision, Kamehameha made Barber pay for his supplies with gunpowder. Since the grounding of the Arthur, the point has been associated with the captain of the ill-fated ship. In 1968, the US Board of Geographic Names dropped the apostrophe, changing the name from Barber’s Point to Barbers Point. The first Barbers Point lighthouse tower was “constructed of coral (another source noted lava) in the days of King Kalākaua in 1888”. It stood 42 feet. The current 72-foot tower was built in 1933. The older tower was intentionally toppled on 29 December 1933, the same day the new tower was lit. The light was automated in 1964. Aviation facilities were also constructed nearby. Starting in 1925, a mooring mast for lighter-than-air dirigibles was erected. The original field was called Navy Mooring Mast Field because the Navy had originally planned to have the ‘Akron’ based there when in Hawaiʻi. But the ‘Akron’ crashed, ending the project. The mooring mast was taken down in 1932 and planning moved forward for other aviation facilities. Around 1940, two air stations were built at Kaupeʻa (the ʻEwa Plain the Naval Air Station Barber’s Point, the larger and the Marine Corps Air Station, ʻEwa, the smaller.) Following the outbreak of World War II, facilities were expanded to sustain four carrier groups. Barbers Point was decommissioned by the Navy in 1998 and turned over to the State of Hawaiʻi for use as Kalaeloa Airport and is used by the US Coast Guard, Hawaii Community College Flight Program, Hawaiʻi National Guard and general aviation, as well as an alternate landing site for Honolulu International Airport. 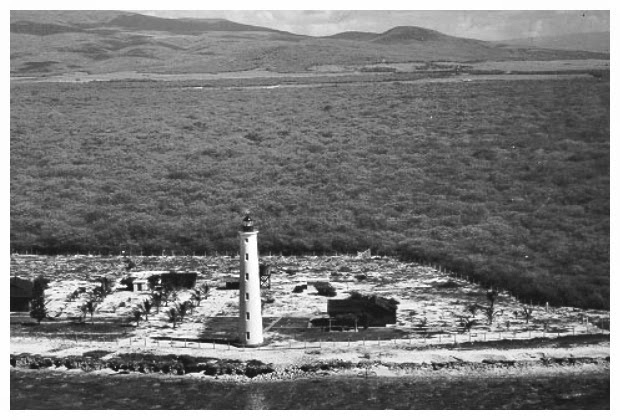 The image shows Barbers Point Lighthouse (the second one) and a view over Kaupeʻa (the ʻEwa Plain) (1934.) I have added other images to a folder of like name in the Photos section on my Facebook and Google+ pages.